Not the celebrated cherry blossoms were waiting for me there, but a magic landscape that unfolded first. It was December 2003. The surreal shapes of a few cycads, in their elegant winter robes, komomaki, became the subject of five black and white photographs. Trees isolated against a very velvety black background, to investigate the potentiality of human perception; combining the naturally ephemeral character of the image with its magical qualities. The subject alone holds our soul. Trees, enlarged/diminished by photographic process, are a plastic representation of the real subjects. A tree, axis mundi, is the link between the underworld, into which it plunges its roots, and the celestial spheres where its branches are stretched out. Tree cults, in which a single tree or a grove of trees is worshipped, have flourished at different times almost everywhere on our planet. 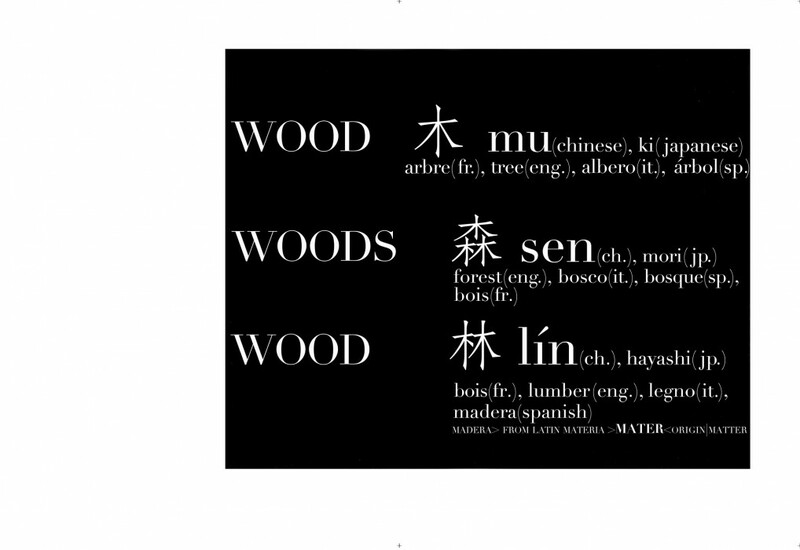 Even today sacred woods, a set-apart space of nature, are found in India and Japan just as in pre-Christian Europe. Trees in Japan according to the Shinto tradition are the natural residence of spirits, kami. Home of the nymphs in the ancient Greek-Roman world, where the belief was spread that, if a tree died, also the nymph dissipated. A metaphor of our human condition? Without trees we cannot survive. Evergreen plants are considered sacred: it’s assumed they symbolize eternal life. The laurel, Daphne, junipers and firs, cypresses and palms, whose legends and iconography traveled from Mesopotamian cultures to Judaism to the Roman world. Because Cycads** were already extinct in the Mediterranean*** and surrounding regions, they are not mentioned by Aristotle’s disciple Theophrastus, but they have a long history in gardens of several parts of Asia not only for their beauty, also as symbols of longevity. They grow very slowly and live very long; some specimens are known to be as much as 1,000 years old. Because of their superficial resemblance, they are sometimes confused with and mistaken for palms. The first garden was cultivated when men had chosen to stop their wanderings … but, if we investigate the bonsai, the portable tree, it’s quite possible to imagine that Asian nomadic populations with their caravans had started those trees in a tray as early as the Han dynasty (206-221BC). Paintings of the Sung dynasty (960-1280) depict potted miniature trees that became a fashion during the Kamakura Period (1185–1333), at the time of the great spread of Buddhism in Japan. 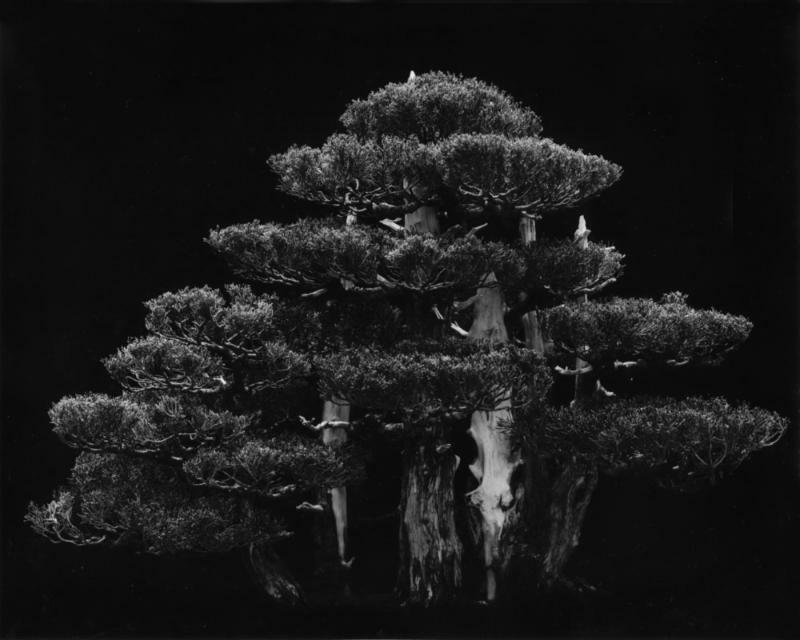 The inevitable blending of cultures brought the tradition of miniaturizing trees from Japan to the western world. The majestic Hollywood juniper, 2002, outcome of many years of tending care by expert hands, is a third generation bonsai, just out of the Los Angeles nights. A memorial piece for the ones willing to remember the executive order signed on February 19, 1942, by U.S. president Franklin D. Roosevelt, which led to the internment of tens of thousands of American citizens of Japanese ancestry and resident aliens from Japan. Most of them then living in California.